You don’t have to feel helpless in the aftermath of a bicycle accident. Tacoma bicycle accident attorneys at Russell and Hill are helping accident victims to recover the damages and compensation that they deserve. Call us now at 800-529-0842 today. Tacoma offers many marked bike lanes and sharrows to cater to the bicyclists in our city who enjoy biking for exercise or depend on their bikes to get around town. But even driving when you drive in the bike lane or follow all the rules of the road, there’s no guarantee of your safety when you’re in the close proximity of swiftly moving vehicles, each of them massively bigger than your bike. Bicycle accident injuries are often horrific, since bicyclists have almost zero protection for their bodies during a crash. And while most drivers respect cyclists, there are many that don’t practice due caution when bicyclists are around. For this reason, more than half of all fatal bicycle accidents result from bike versus passenger vehicle scenarios. If you’ve been injured as a bicyclist, our Tacoma bicycle accident attorney can help you win compensation for your injuries so that you can begin to put your life back together. Rear-end collisions sometimes result when a driver follows a bicyclist too closely or fails to yields the right of way as required by law. Failing to see a bicyclist while making a left turn is also a contributing cause. Pulling out of a street or parking lot on the right side of the cyclist can also cause an accident if the bicycle passes at the same time. Right turns are also a notorious way that drivers cut off bicyclists, resulting in horrible crashes and devasting injuries. Injured bikers most frequently suffer injuries to the extremities, both upper and lower, as well as injuries to the head and face, including facial fractures, brain contusions and concussion. It is not uncommon to see damage to the abdomen, chest and neck. Many injuries related to bicycle crashes lead to permanent, lifelong disabilities. The typical defendant in a bicycle accident claim is the careless or reckless motorist who put the life of the cyclist at risk. Still, motorists are not always to blame. Dangerous road conditions may be at fault; for example, if a government agency is tasked with maintaining a bike lane but fails to do so and broken asphalt causes the bicyclist to lose control, that agency may be a target of a liable action. Likewise, if a faulty part on the bike resulted in brake failure, the manufacturer of the bike or the part may be held accountable. 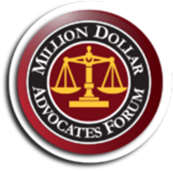 A seasoned accident attorney can help you identify all responsible parties for your legal claim of damages. You don’t have to feel helpless in the aftermath of a bicycle accident. The Tacoma bicycle accident attorneys at Russell and Hill have decades of experience helping accident victims just like you recover the damages and compensation that they deserve, including medical bills, lost wages, property damage and pain and suffering. 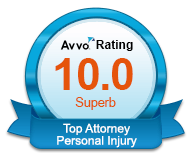 Let us focus on the legal aspects of your case while you work on recovering. 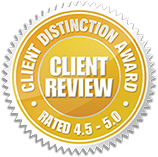 Give our legal team a call now for your free no-obligation case review.